In Facebook anyone can know about your profile, relationship status, where you work, your last company, where you located, about your friends etc. Most of these thing you can hide from the Privacy feature of your Facebook account. 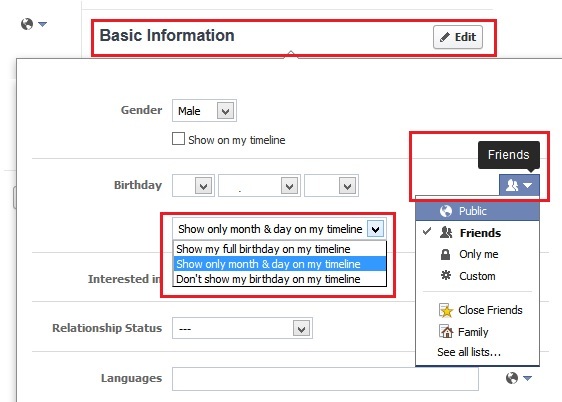 But if you want to hide your Birth date in Facebook, then you will not find any feature on Facebook privacy setting page to hide your birth date or change your birth date. Today, in this article we will teach you how to hide your Birth date on Facebook and hide your age from your Facebook followers or friends. There are so many reason when you want to hide your birth date on Facebook or wan to hide your age on your Facebook profile. Sometime you don’t want to tell your age to your online friends and some of the Facebook users are not comfortable with having your age posted on Facebook. As we mention above that you will now find any setting to hide your Age on Facebook Privacy settings Page. Recently Facebook made so much change on Facebook timeline and after these changes they removed the Hide age setting from the Facebook privacy page. But you will do this easily from your profile page. Now, let’s get down to removing your age on Facebook. Login to your Facebook account with your username and password, Once you are on the Facebook page, click on the Update Info button under your cover photo or click this link http://www.facebook.com/editprofile.php. Now you are on your Facebook profile page, here you will see all your detail like Work and education, Living, Family, About you, Contact Information and Basic Information. From here go to your Basic Info tab and and Click “Edit” button to change your Facebook date of birth or hide your age on Facebook. From here click on the audience selector (on the right) to adjust who can see your birthday. Click save and your done. 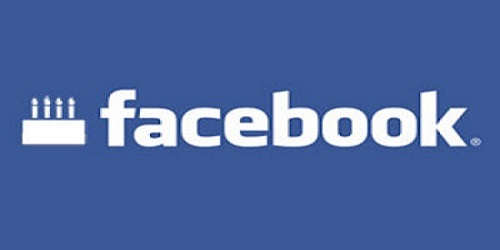 Now no one can see your age and birth date on your Facebook page. Looking for Facebook tips and tricks, Click here!